Hellboy is an American supernatural superhero film based on a character of the same name from Dark Horse Comics. Revealed as a reboot of the Hellboy film series, the movie follows the return of the half-demon superhero, called in for a battle against a trio of rampaging giants to the English countryside. There, he meets a resurrected ancient sorceress teaming up with Blood Queen and Nimue for a past betrayal. 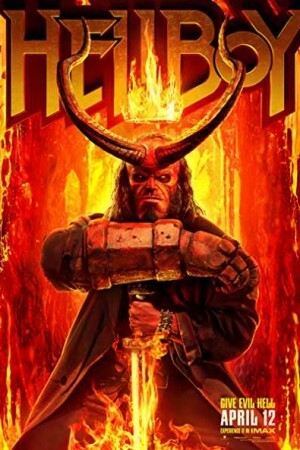 Though the trio led by Nimue is on a mission that leads to the end of the world, Hellboy is caught in a clash between the supernatural and human. Will he be able to win over the trio and save the world? Watch the movie to know what happens.